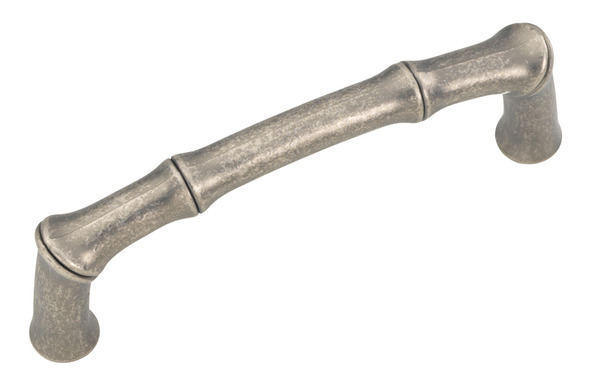 DIY Knob Rack – Hang it Up! I recently became obsessed with the look of vintage faux bamboo dressers, like those made by Thomasville or Henry Link in the 60s and 70s. 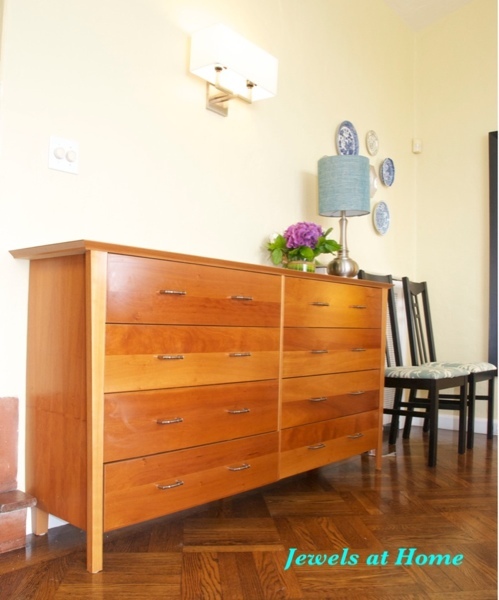 These dressers have come back into fashion, repainted for a gorgeous new look. I see them on eBay and Etsy regularly, but with the shipping costs from across the country, it doesn’t seem quite worth it. I’m also nervous about taking on such a big project. As Ibie, whose dresser is in the second picture below, chronicles on her blog, the painting process on such a large piece is not for the fainthearted. Callie’s black dresser featured on Little Green Notebook. I love the glossy black finish, and the rest of this room is fantastic, too! Ibie’s grey Henry Link dresser on One Story Building. This looks so sophisticated and elegant! I certainly believe her that it was a bear to paint, though. I still have this project in the back of my mind, and I occasionally look around on Craigslist, eBay, and Etsy for that perfect dresser to repaint, but for now, I’m happy with an easier update to our old dresser. This is actually an inexpensive piece that we bought a decade ago. 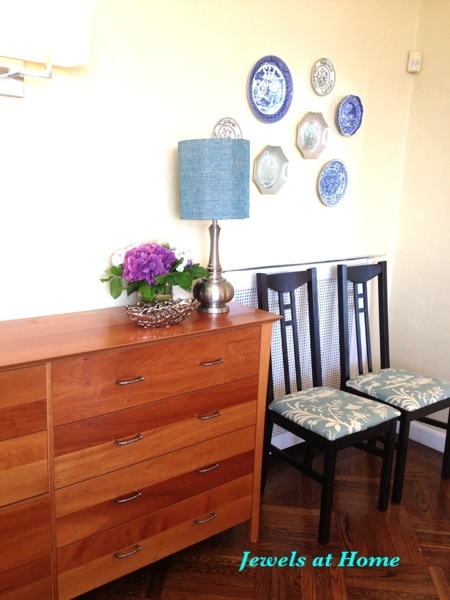 We almost got rid of it a couple of years back, but no one on Craigslist even wanted it, so we decided to repair all the sagging drawer bottoms, and I’m so glad that it has a new life as the sideboard in our dining room. BEFORE: Old dresser we are using as a sideboard. , and there were several others out there that also look great, and I put some of my favorites on Pinterest. Since the new pulls need two holes, I had to drill new ones. TIP: I used a piece of a piece of painter’s taped marked with the distance between the holes, so I could quickly measure and drill. 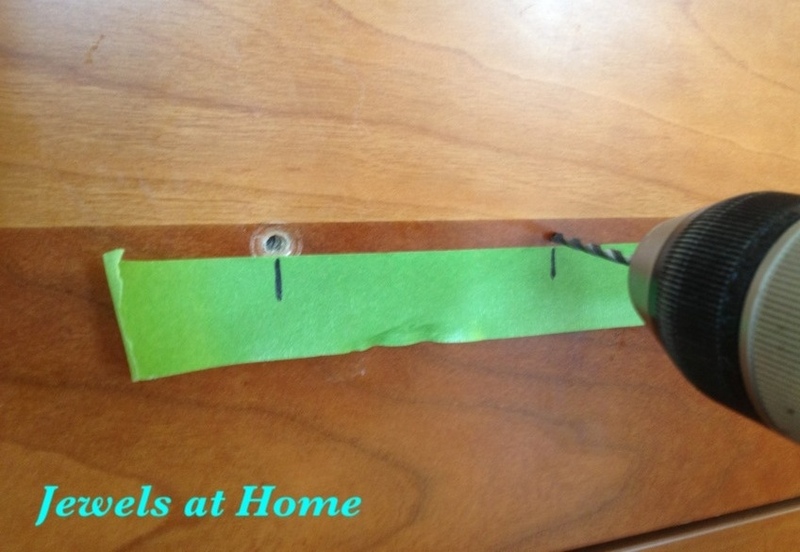 TIP: mark the distance between holes for cabinet hardware on a piece of painter’s tape. 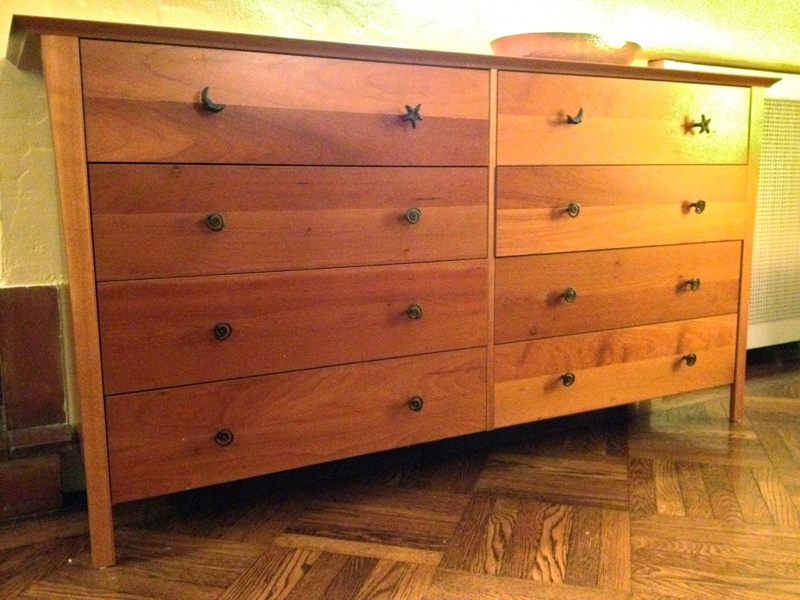 And here’s the “new” old dresser. No, it’s not as stunning as an old Regency dresser painted in an elegant new color, but it was quick, easy, and inexpensive. 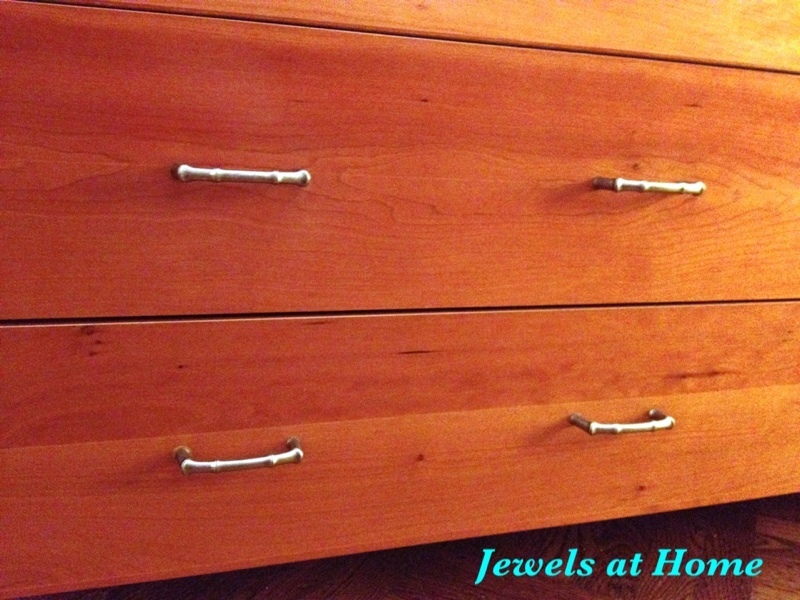 New faux bamboo hardware gives our old dresser new life. I’m happy with the result of this little project, and will still keep my eye out for something perfect.